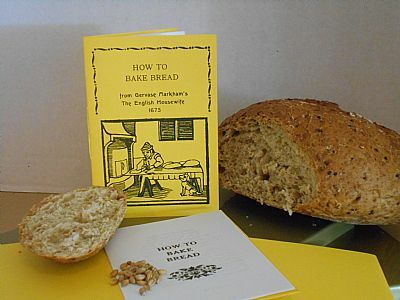 From Gervase Markham’s "The English Housewife 1675", this booklet describes the making of rather large quantities of bread both for the household and for the household servants. A6 format. 8 pages. Letterpress printed in an edition of 100.